Some of us wonder how the owners of Apple Inc. corporation came up with the name. Why name a company after a fruit? This is a short story that will tell you where actually the name Apple derives from. According to the co-founder of the company, Steve Wozniak, it was several weeks after the partnership was forged that they decided on the name of their company. He was then driving Steve Jobs back from the airport along Highway 85. Jobs just flew from Oregon, where he worked at an apple orchard for the summer that was some kind of a commune, formed by a guy named Robert Friedland. The apple garden was given to him by his rich uncle. So, Jobs, Robert and other members of the commune lived there during the summers and dedicated their time to Eastern spirituality and drugs. This is how the name ‘apple’ was actually settled in Jobs’ mind. Right there and then, Jobs proposed ‘Apple Computers’ as the name of the company. Wozniak’s reaction was “What about Apple Records?” This was the Beatles’ recording label. They still brainstormed for other “technical terms” to name the company, but they seemed at a loss to find words to fit the name of their business. Jobs and Wozniak also did not have time to change the name since they were facing a deadline for filing a Fictitious Name Statement which is a part of the business licensing procedure. They needed a name before five o’clock that day. Jobs even threatened his partners that if they couldn’t think of a name, he would name it after a fruit; hence, we have Apple Computers now. Though they were sued by the Apple Records because of the issue of trademark violation in 1989, they were still able to keep the name. 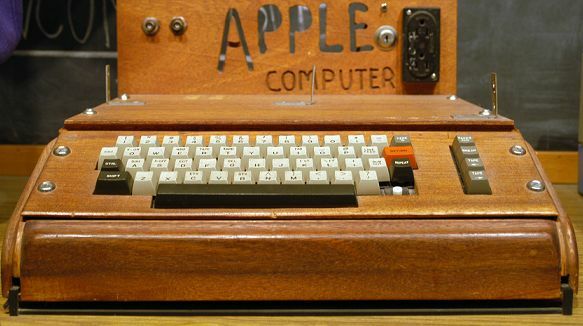 The name Apple was also chosen because it appeared before the name ‘Atari’ in the phone book (according to Steve himself, he mentioned it in his famous speech at Stanford). This was the company where Jobs worked previously. He also shared that he just liked apples and also the name was simply funny. Wozniak added that they even considered other names such as Executex and Matrix Computers but they did not like it as much as Apple Computers.